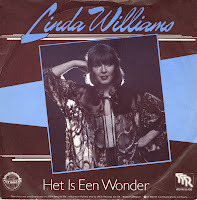 The Dutch entry for the 1981 Eurovision Song Contest, Het is een wonder by Linda Williams can easily be qualified as 'forgettable' and it's hard to see why anyone would think it had a chance on the Eurovision stage. 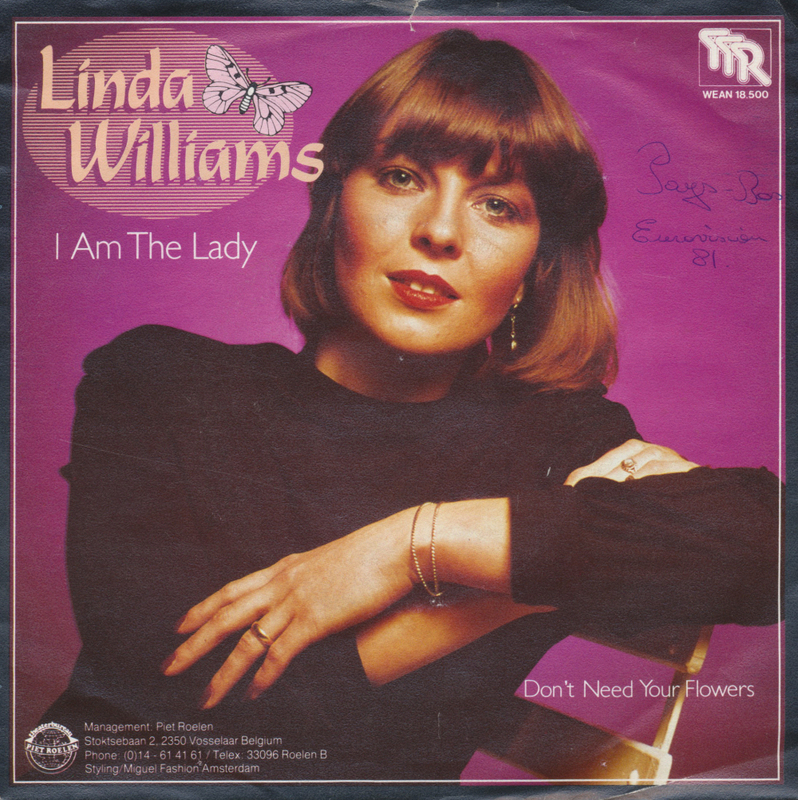 It's even harder to think of a reason why Linda Williams was made to record an English version of the song. 'I am the lady'. It is a weird piece of history, this single, and I'm happy to have found a copy - but it is a weird release in many ways. Linda Williams was born as Henriëtte Willems on June 11, 1955 in Valkenswaard. She was an unknown singer when she took part in the 1981 national final for the Eurovision Song Contest in the Netherlands as a last-minute replacement for singer Oscar Harris, who had to drop out at short notice. One of the two songs she performed during the night, 'Het is een wonder', emerged as the winner, and so she represented the Netherlands during the Eurovision Song Contest, which took place on April 4, 1981. She finished ninth in a field of 20 competitors. Following her Eurovision appearance, Williams released a few singles which passed unnoticed, and soon returned to obscurity. She did however make another appearance on the Eurovision stage in 1999, when she was one of the backing singers for that year's Belgian entrant, Vanessa Chinitor, along with her daughter Eva-Jane.